Although I love dressing up and pretending I know how to do it, I have always had some burning questions about what is and is not OK. I don't want to play it too safe, but I also don't want to leave my house looking completely ridiculous. From classic fashion rules to what is and is not socially acceptable to wear in public, here are my greatest concerns. 1. Brown with black. Do we or don't we? I've allowed myself to do caramel-colored brown with black because the shades aren't even close. However, I still almost feel like I'm getting fiery looks from every direction telling me that I've done something terrible and that I should go home and change immediately. I also have this kind of tribal-looking shirt with brown and black, but again, the colors aren't very similar. This is the shirt I have that mixes the unspeakable darks. 2. Wearing gold and silver in the same outfit. I don't do this one (except for my white gold wedding ring that is worn with everything!). What do you think? 3. Tights with open toed shoes. I always feel weird when the world can see the seam of my tights on my toes. But I've also seen people do it with confidence and it makes me not think twice about it. 4. White after labor day. I officially do not obey this rule... I wear white whenever my heart desires. However, I still feel a little off when I dress too "warm colored" during the cool months. 5. Matching shoes, bag, and belt. Necessary? I don't think the purse needs to match. I just have a gold bag to play it safe... it matches pretty well with almost anything. But who wants to move in and out of their bag every day?! No thank you! 6. Leggings/jeggings. Someone please just tell me when and how these can work. I've figured out dresses with leggings and boots, but that's about it. What do you think? Any big fashion questions you've had forever? Enlighten me! Danielle! This is so cute! I love black and brown, don't care what anyone says. It took my a bit to get used to the idea but now I love it. Even my husband is starting to go along with it. Bag matching, never happens. I try to stay more neutral, but it doesn't really matter to me. 2. I think it looks tacky. Except for my white gold wedding bands! 3. Same as above answer. Lol. 5. I have two purses. One is brown and one is green. I only swap out if I'm wearing black. 6. I think leggings/jeggings are horrible. That's just my opinion. Haha this is great. I totally wonder about brown with black, always have! It kind of depends I think. With a charcoal black...brown could be fine if they're like boots but I'm still on the fence. I LOVE these outfits!!! I usually wear black with brown. I don't really see anything wrong with it. 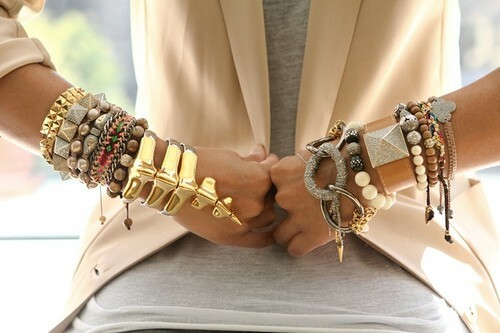 Gold and silver: LOVE it together. This is such a great post.